C K Rich: I do not know this channel and I cannot say I agree with this entire message. Especially the part of us not needing protection as most all active Lightwarriors / Lightworkers have been attacked constantly for the past couple/few months now. We all know that channeled message have accuracy issues. But most of this message does sound about right and resonates with me. As always look to you Higher Self and Guides for your own guidance. 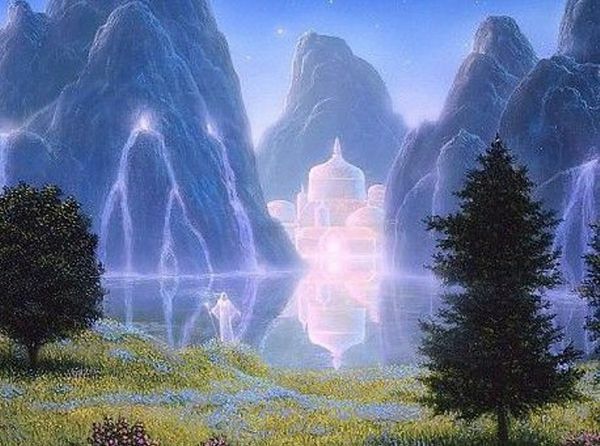 Alice C: Two messages in two days from Ashtar via two different channels is a very strong indicator to Lightworkers that the changes we have all been waiting for are about to commence in earnest.. It is time for us to be ready to step into our new roles – whatever they are! Ohm Mani Padme Uhm. Greetings to you, good to be here with you again. But I am only staying a short while here, just a moment, to prepare energy here for the next one to come through that wishes to speak a little bit. We will be back here shortly. I am Ashtar. I have only been through this one, one time previously but it is time now to lend my energy through this one to many that would be hearing and reading these words. For the time has come now, a time to prepare for all that you have been waiting for. For very soon, very shortly many would call it imminently now, there are those changes that are coming that have been prophesized for many eons of time. Those changes are in the works now. They have been building and building to this moment, to these very times that are approaching where the lid, you might say, is going to be taken off the can, in terms of the truths coming out. Many truths will be revealed and many of those domino effects that have been spoken of are going to be beginning now. And as these dominos begin to fall you will begin to be enlightened in many ways that you have not even imagined yet. And each time those dominoes fall, another truth will come out. And you will be prepared for the time coming in the not too far off future as has been spoken of through other sources now, speaking in terms of nine months, in terms of September of this year there will be those who are prepared to move into that higher frequency vibration en mass, as a world, as a planet. And those times are very soon approaching and these times now that you are in and this month that you are in now, March, so March, 2013 is a time now of energetic preparing for all that is coming and once this starts it will be one thing right after another. There will be seemingly no stopping. You will be on your internet and you will see something new, not just each and every day, but every moment practically and it will come as a rush. It will be so fast and furious it will take you in many ways by surprise. And this is what is coming and it is time now that the moment, the call has come from that which would be heaven and it is very soon now to begin, very momentarily now, that all those things are going to have their beginning. This was the message we wish to give. Be prepared, all my brothers and my sisters for all that you came here to do because your mission, the need for what you bring to the table you might say, is about to begin. So be ready for this. I will leave you now. My peace and love be with all of you as you continue to prepare and move to understand and know who you truly are. OWS: Greetings to you once again. This is One who Serves now to assist you in any way that we can with your questions, but before we do so, we wish to share just a little bit more. Understand that these times that Ashtar has spoken of are already in the works, already have begun and these things are going to begin to take on a momentum of “a rolling stone gathers no moss”. The momentum, once it has started rolling, will continue to roll and take everything along its path in terms of many things are going to happen, many things are going to change and you will be astounded as these things begin to come into your physical, your three dimensional understanding. Now we say three dimensional understanding and we have been working with you at your higher frequency vibration understanding, 4th and 5th dimensional. But for this, it is time for your three dimensional understanding to begin to get more of these glimpses we have been speaking about so that you are prepared for all that is coming. For it is your three dimensional understanding that must see and know these things as they come about. The truth you might say coming out. Would there be any question on this to begin? “In order for that rolling stone to start gaining momentum is there a need for some major changes to happen, like for example what I am referring to is when my son was saying that you can feed the entire world based on what we spend on for six days on military things in this country. So the world could be fed for a year or something based on how we spend money. It just seems like that has to stop in order for other things to gain momentum – like the insanity of humanity”. You must understand that all of these things you are saying are correct but there are going to be those things that are going to happen that are going to make people wake up, you might say, to be the catalyst rather. No one will be made to do anything but it will be a catalyst to alert people as to what has been going on and how they have been held down in many ways. Yes, it is by own free will but they have been held down and do not even know they have been held down, you see? So these things as they begin to occur are going to awaken a great many just as you yourselves, the lightworkers have awakened. There will be those who have not yet awakened but will do so from these things we are speaking of in terms of many of the truths coming out. We are speaking of a change, a total change in your financial system. We are speaking of your disclosure, of the galactic situation, we are speaking of first contact, all of these things that are going to occur, one right after another. Once it begins, there is not stopping it and first it will be a little bit gradual but then it will pick up and pick up – steam as you say, and it will be unstoppable at a certain point. OWS: Will not be a quantum leap necessarily but to some it will certainly appear to be quantum leap. For some it will be a gradual build up. For you, those that are the lightworkers, it is a gradual build up. You have been preparing for this for a very long time. For those others it will be sudden to them and they will question, where did this come from? Does this answer your question? OWS: You see, once the financial system is rearranged you might say, there will be many things that will be coming in to play and there will be many changes, many programs that will be developed that will prepare and take care of the great many that are suffering now at this time. You must understand that your son was only a little bit correct there. There are so much resources, money and all of this that is available for when the time comes to be disbursed. It will not only feed the entire planet for one year, but it will feed them for a very long time. There are trillions and trillions, many hundreds of trillions of dollars prepared. You could say enough for somewhere near ten million dollars to be given to every individual on the planet if it were to go that way. That is how much is there. And it will be a leveling effect, for everyone will be equal and it will level the playing field you might say. Not that many of you think that this is play. OWS: Yes, that is correct. Other questions here? OWS: It is the Earth-Body connection that you are speaking of here. But also understand, what was your feeling or thinking at the time previous to this? OWS: Yes, and this one John had something to do with this here. He is energetically assisting you and others who have been a part with him here to prepare in the ways that they are ready for in terms of preparing for their missions. So he is one who is assisting now, assisting those of us here, he is a master himself now and he is assisting those that are ready for there preparation for the next step you might be ready to take. And in your particular situation with the foot and the energy there was another awakening of your Kundulini energy. OWS: Eventually all will be able to do this. This is the mass ascension that has been spoken of and which you are seeing similar to what the James has seen and others. Many have seen in terms of stairways or elevators or escalators or any of these things that take you up from the level that you are on to a higher level, and many are seeing these things, the glimpses of them and you yourself were seeing that stairway to heaven you might say. OWS: At this time there is not a problem with this. That was in the past. The influences that were there previously are no longer there and are not something to be concerned about anymore. You have those around you but they are not bodyguards or anything of this nature. They are your guides that are moving you along energetically to your next level, to the next moment and to the next moment after that, and assisting along the way, you see? OWS; Whenever you ask, then you will receive. So you are asking for assistance in your DNA activation and therefore, there is that assistance coming and you will begin to notice more and more as the times go, and certainly as these dominoes begin to fall as we are saying you will notice more and more those that have been called the glimpses. It will be coming to you fast and furious in many ways, you see? You are being activated. You understand that each of you that are listening and those that are reading these words are being activated to prepare, to be there for their mission, the mission they have come to take on and each moment you are moving closer and closer to that and when you have fully begun that part of your mission, the mission you have been on for many lifetimes, we are speaking of the culmination now, the last mission you might say, at least for this evolution. And that is approaching and many will be there to assist all those others that do not understand what is occurring here. But you have the understanding already and the energetic levels of vibration to work with those. OWS: Yes, these are all tools. Understand that you my sister, who is asking this question, have been asking this for a long time now, years now as we find it. And each time that you ask you receive but you just do not realize that you are receiving. You are looking for something at a three dimensional level. You are looking for the gates to open up to heaven and the trumpets to come out and the angels to be playing and all of these things and it is not going to be that way necessarily. For some it will but for others it will not. It will be more gradual, more subtle, you might say, and that is what you are experiencing my dear sister. You are experiencing the subtle changes that are coming. But, when it takes off, it will take off, and it will be difficult for you to keep up with the pace. OWS: Yes, but when you look at it and this goes for all now, when you look at it, look through your third eye. There is more than just asking, there is seeking now. There is ask and you shall receive and seek and you shall find, so you must do the second part and that is seeking and then the final, the knocking, to open up the door. So, there is the asking, but then there must be the action here as well, so utilize your third eye. Use it, it is there, and begin to work with it in ways that come to you, and they will come to you as you work with this. It is like if you sit on your couch or your chair and expect the world to change, it is not going to do that. You have to be a part of that change. “When I ask that I become aware of my heart chakra opening, I become aware of it connecting to my pineal gland, so it is not like I am just asking, I become aware of those things, I don’t know quite how to do everything, I just become consciously aware at the time, so maybe that is not enough and maybe I will soon know more of how to do it”. OWS: Yes, other questions here? OWS: Does not make a difference, do whatever you feel works for you. Make the connection. It is only been given to open up the heart first because that is where people are already operating. Many are not operating at the sixth center. Do not even know what a sixth center is. Do not even know about a third eye. But everyone knows the heart, do they not? So it is easier for them to begin there. But, it does matter not. OWS: It is different for all. One will get a visual understanding, a visual knowing of something. Others will get an inner sense, what you would call your sixth sense, an ESP type of thing, others will increase their other senses, various different senses here, others will become telekinetic, in various ways, you see? OWS: For some and for others it will be sudden. OWS: It is within yourself. You will know. OWS: Understand that there is a time, we cannot give correct time frame here, because so much varies, so much changes from moment to moment. But that time that was given at this moment now, as we are looking at it, this is energetically what will be. So in that time period there will be many that will be going through the ascension process here. OWS: Very much so. They are almost to the point where they are immobile. At your three dimensional level, there is still that hologram that is still playing. So, it seems like business-as-usual with most of the planet. But that is soon to change. “Ascension – I don’t get it. I have been told what it is a million times and it still does not make sense to me. I am understanding, know how to get onboard so to speak, how to ascend, does this mean I am leaving the planet if I ascend? Does this mean I have to leave my girlfriend if I ascend? So is it just a state of mind? OWS: No, no and no. It is a consciousness movement, a movement of consciousness from your three dimensional level of understanding to a higher frequency. But understand you are just going back home. You are going back to where you already came from. Three dimensional is not your home, it is not where you belong. So you are going back but you are not leaving the planet because the planet has also ascended. And you are moving along with her. OWS: You will know. There is no way of not knowing. OWS; Your gifts of spirit are activating as we speak now. They are about to move into another gear here. It has to do, in many ways with your crystal. Begin to use it more and more as we have said. And as you begin to use it more and more and you come with questions about it, we will give you more. We cannot do this until you have already worked with it. “Can we say for clarification purposes, can you say that this is accurate: Ascension is an advancement that allows man to become One with each other where there is no more barriers? So as we progress in consciousness it is an awareness and an understanding that we are all One. It is unity consciousness and an understanding that we are all One. OWS: It is coming back to the Oneness within you already. You already have that Oneness within you. You are just remembering this. OWS: Understand that you are already all that you are meant to be and you have always been that. You have never not been that. You have never actually been disconnected from your Source. It is only the mind that has created this illusion that you are disconnected and you are just reconnecting that mind- taking the illusion away, you might say, lifting of the veil. “And when you become aware of that, the full knowledge of it, is that ascension? “I have another question about ascension. So if I am ascending, I am assuming I am ascending to another dimensional level. (Yes) So, is it fair to say at some point I won’t “cross over” if my physical body gives up? OWS: Your physical body is going along. You are not leaving it behind. OWS: That is correct. Your physical body must alter. And that is what the process is that is happening now. “I have always been under the impression that when another person dies, to them nothing has changed, but to everybody else that person has collapsed. That person’s mind continues on and is still alive and well”. OWS: Yes that is correct. The consciousness part of yourself continues forever. OWS: The person is gone, correct. But the personality is gone in that moment but continues on at the next level. And eventually in the past now this has happened but now it will begin to change. But in the past when one passed over at time of death, when the physical body was left behind, then that person moved into a higher frequency vibration of their own and they began to at some point integrate with their higher self and leave the personality in a sense behind. OWS: Yes, there is no death. “So if there is not physical death, we are at our last lifetime. Because technically if we have past lives, death still occurred. (Yes). But if we are not doing it anymore, this is it. OWS: You can call this your “Swan Song”. What was the word earlier, your culmination you might say. “We are going home. The end of third dimensional consciousness”. OWS: You are going home. OWS: We will put it this way to you: If you wish to manifest a red sports car, you can do so and drive it if you wish. But initially in the beginning you need to get your feet wet you might say, so that you are creating your life, you are creating your world. It is all a creation process. Just as you have created your three dimensional world, you will be creating your 4th and 5th dimensional worlds as well. “So it is not so much that we don’t create now, it’s that the awareness level is so far advanced that we create consciously instead of create unconsciously”. “So if you ascend, technically there is no more sickness or illness. All your suffering in your whole life is gone”. OWS: Yes, those that ascend together will stay together if they wish to. OWS: At some point you could, but there is part of your mission. Assist in the process. Must release channel now. Shante, Peace BE with you. BE The ONE!